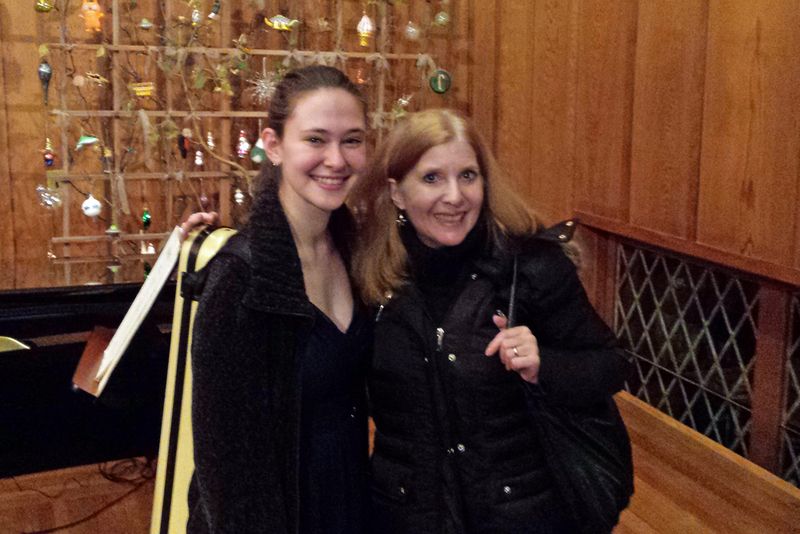 Karen’s virtuoso, violinist cousin, Ariel Horowitz, with Karen, after Ariel’s 2016 performance at Maybeck, a wonderful concert space in Berkeley, CA.Ariel also performed on Karen’s track, “No Other Like Your Mother”. 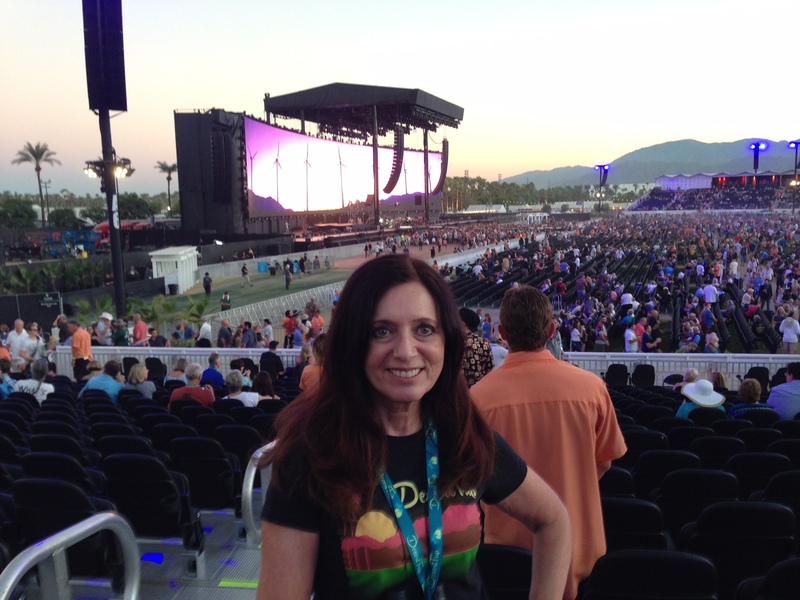 Janet Marie attended Desert Trip 1 and 2 in 2016 at the famed Coachella Music Festival in Indio, CA. Headliners included The Rolling Stones, Paul McCartney and Bob Dylan. Wow! 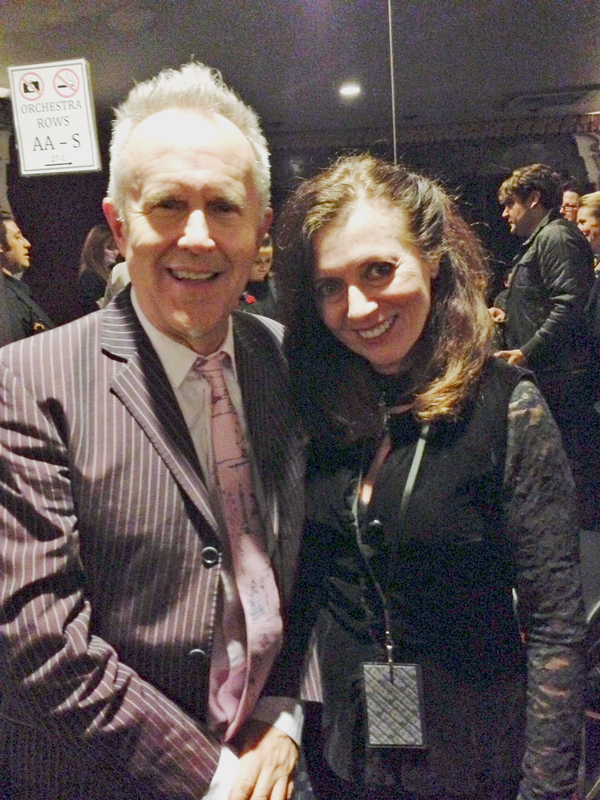 English recording star Howard Jones and Janet Marie at the VIP after-party, Saban Theater, Beverly Hills, CA, 2015. Janet is a huge fan of Howard’s skills as a keyboardist and songwriter. 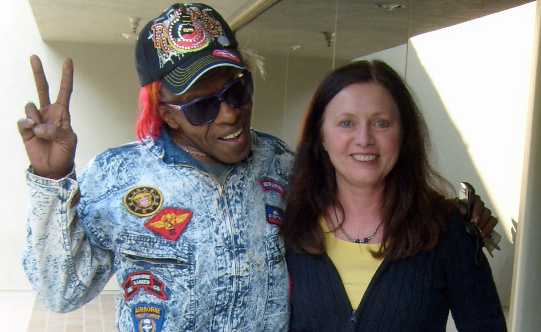 Legacy artist Sylvester Stewart (“Sly” of Sly and the Family Stone) and Janet in Malibu, CA. Janet manages Sly’s artist trust for a Malibu law firm. Pro skaters Sharon Carz and Nicholas K. Brann skate at the Flamingo, Las Vegas to the tune of Janet Marie's song, "Dance on Ice".